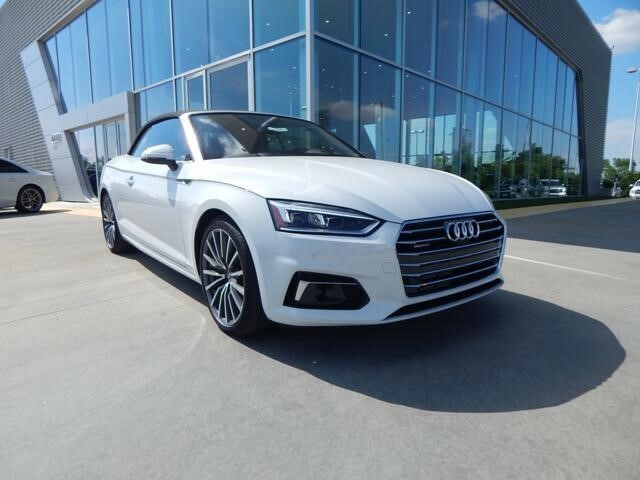 2019 Audi A5 2.0T Premium Quattro AWD Convertible Lease For $649.00 Per Month, 36 Months Terms, 7,500 Miles Per Year, $0 Zero Down. Air Conditioning, Climate Control, Dual Zone Climate Control, Cruise Control, Tinted Windows, Power Steering, Power Windows, Power Door Locks, Power Mirrors, Leather Steering Wheel, Leather Shifter, Power Drivers Seat, Power Passenger Seat, Memory Seat Position, Heated Seat, Rear Air Conditioning, Wood Trim, Clock, Tachometer, Digital Info Center, Homelink System, Tilt Steering Wheel, Telescoping Steering Wheel, Steering Wheel Radio Controls, Driver Airbag, Passenger Airbag, Side Airbags, Security System, ABS Brakes, Traction Control, Dynamic Stability, Rear Defogger, Fog Lights, Intermittent Wipers. Message: Thought you might be interested in this 2019 Audi A5.